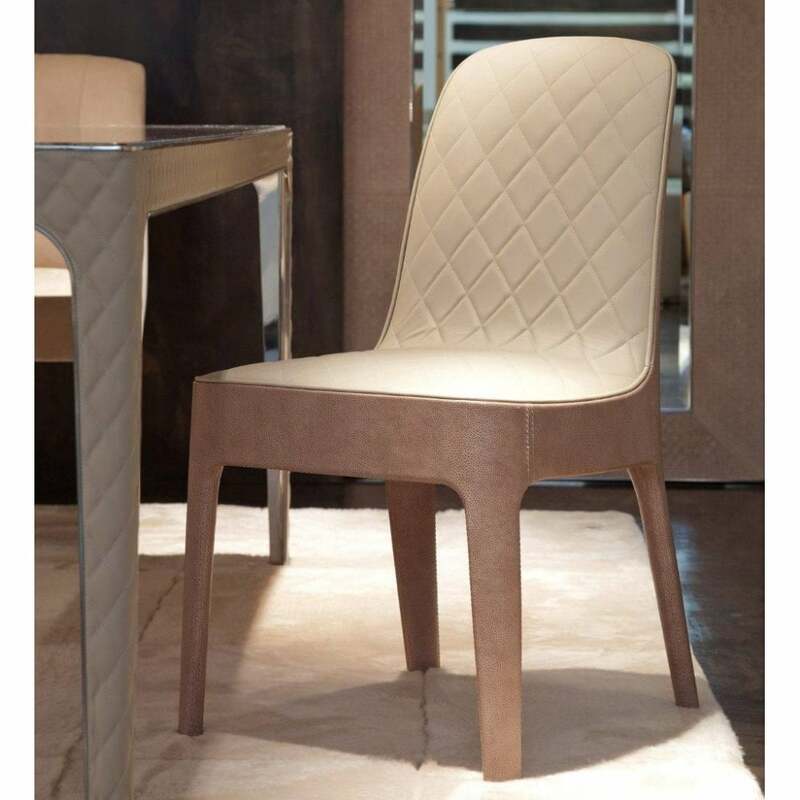 Sleek and minimal, the Aria Chair by Rugiano is crafted from the finest materials with the utmost care and precision. Designed and created in the Milan studios, Aria draws inspiration from the stylish 1960’s. The curved backrest and deep seat is upholstered in the finest Pelle leather. Featuring quilted detailing and beautiful stitching, Aria will add class and elegance to any kitchen diner or dining room space. Designed for maximum comfort, the seat is filled with a plush padding. Choose a contrasting textured leather for the tapered legs to create a bespoke design. The legs can be upholstered in a complementary leather or finished in a lacquered wood. Make an enquiry for more information.